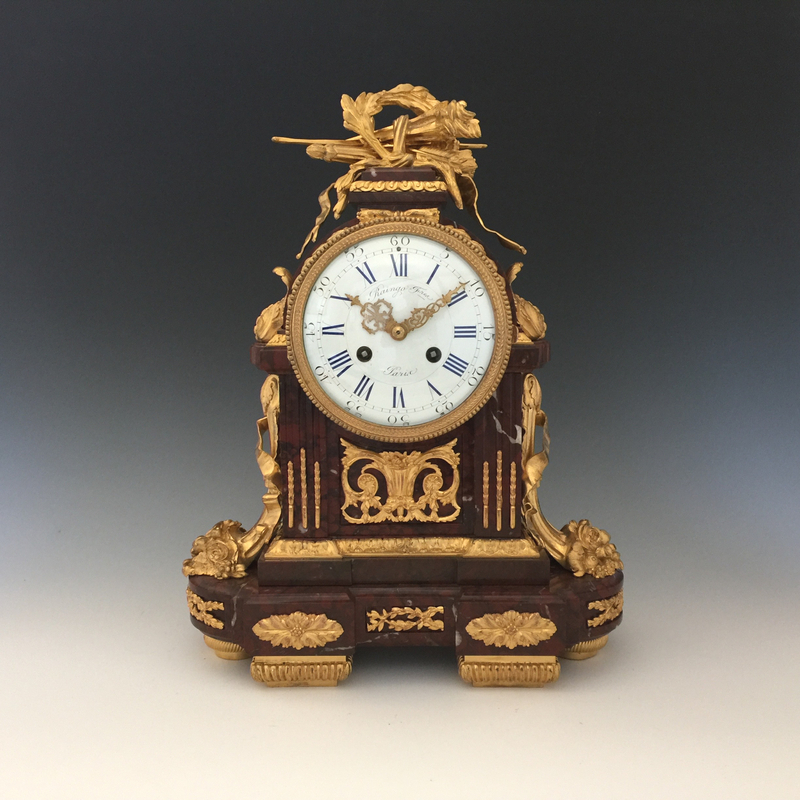 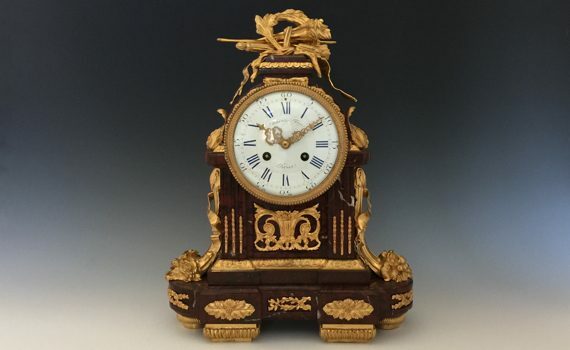 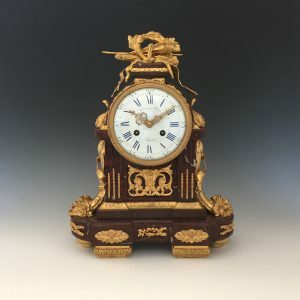 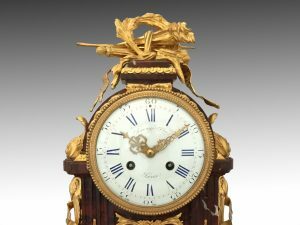 A Napoleon III, French, gilt bronze & rouge marble mantel clock in the Louis XVI style. 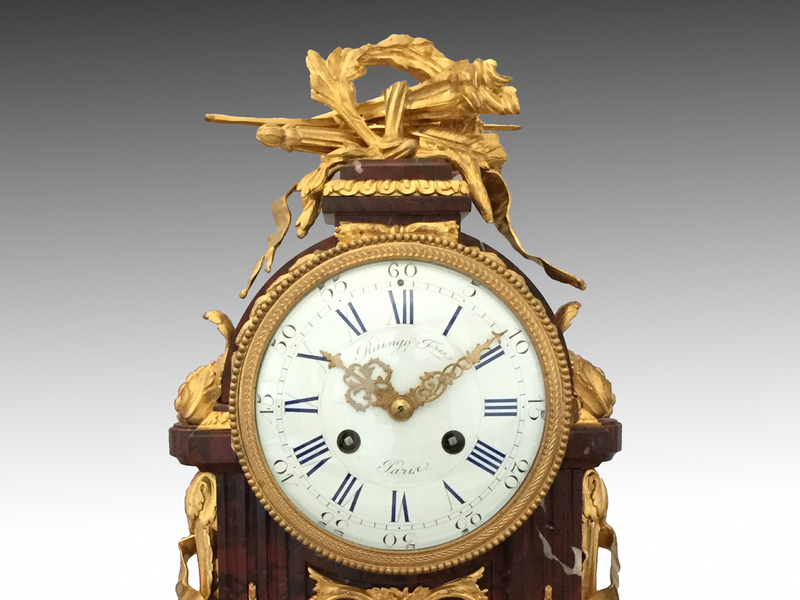 The white enamel dial with Roman numerals and a 14 day movement with Brocot suspension striking the hour & half hour on a bell. 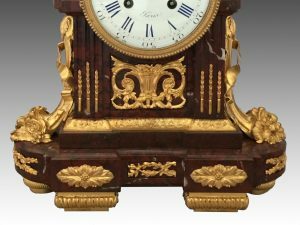 The griotte marble case surmounted by a flaming torch & quiver of arrows, above cornucopia to the sides with plinth base. 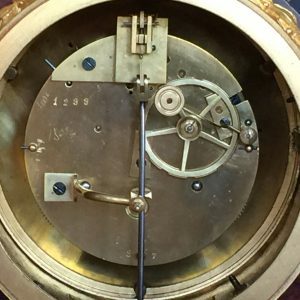 Movement and case numbered 1299.